When you start thinking of starting a tech company, it is important to know some basic laws, rules, and regulation which govern the tech companies. It is pertinent for the smooth functioning of the tech company in the long term. You should have some basic start-up knowledge so you do not face any problem in future while reaching success in your business. Legal registration for a new tech company is important as it will secure your identification and uniqueness in the market. It will give you legal protection as available under laws as not following such rules and regulations might lead to a penalty. No one can infringe your legal rights and if someone violates your legal rights, then you can sue them and ask for compensation as one of the remedies. Some important legal registration which is required for a tech company is PAN registration, business incorporation as a private limited company or proprietorship or partnership firm, Tan Registration, logo registration, and other document registration. Some of the important legal registrations are discussed below. 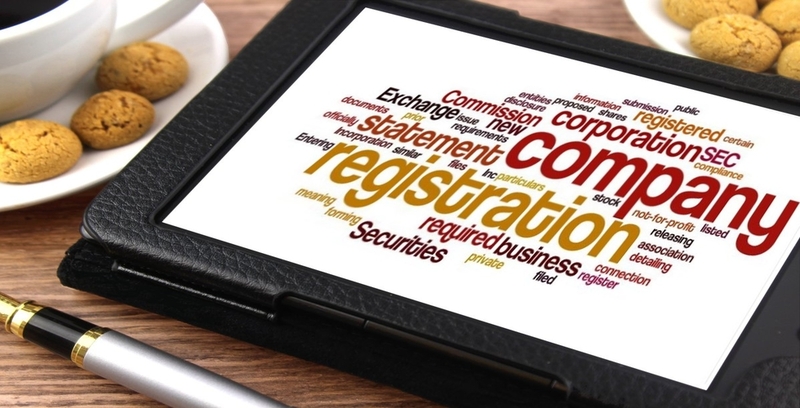 Business registration is the first thing you should do when you start a new tech company. Business registration is the process of obtaining legal authority to conduct business. Now there are types of business structuring available like the private limited company, proprietorship firm, partnership firm etc. So you have to register your tech company accordingly. Incorporation of the private limited company is simple. It requires minimum 2 people for incorporation of the company. You have to fulfill the conditions given under companies act, 2013. Director’s digital signature and director identification number are also required. You can apply for this online. You have to attach a memorandum of association and article of association and other documents along with the incorporation form. After successful incorporation of the company, it becomes a separate legal entity. The promoters of the company are not personally liable towards the company. A sole proprietorship is a type of unregistered business entity that is owned, managed and controlled by one person. Incorporation of your tech company as a proprietorship is easy. There is no requirement of registration by the government of India. But registration is established through tax registration and other business registration that is required for a business. For example the PAN card, TAN card, logo registration, brand registration etc. Incorporation of your tech entity as LLP requires registration under the rules and regulation of limited liability partnership Act, 2008. It is a separate legal entity. You can file your application of incorporation as a legal liability partnership online through mca website. A digital signature is required for the filing form and all partners of LLP shall obtain “designate partner identification number”. Then you have to file form 1 for reservation of name. After reservation of name, you have to file form 2 for “incorporation document and statement. Incorporation of a partnership firm is very easy. You have to decide who will be your partners and make a partnership deed. The partnership deed should mention the profit sharing ratio, capital contribution ratio, arbitration in case of dispute, authorized person. It is governed by Indian Partnership Act, 1932. It is not mandatory to register a partnership firm but it is advisable to register. Also, a partnership firm is not a separate legal entity like a company. Pan means a number which is allotted by the income tax department of India. PAN provides you with a unique identification and it is now becoming mandatory. It is required for tax purpose and also required in banks while opening a new bank account in the name of the company. For PAN registration you have to submit some documents like your company’s details, certificate of incorporation of the company, the address of the company, the memorandum of association and articles of association etc. Also, PAN is mandatory for a company. The process of PAN registration is simple you can file your application online. You have to file an online application form and attach the documents. Then automatic acknowledgment will be generated you have to print this page then send it to the NSDL office. You will be given a PAN no. which will be used in all your income tax returns. TAN Registration is required for making tax deduction or tax collection at source (TDS), remittance of TDS payments and issuance of TDS certificates. Individuals running a proprietorship are required to obtain TAN. TAN registration can be done through the online application. You have to submit the form no. 49 B online. While filling form you have to submit your PAN details and details of deduction. The acknowledgment will be shown for TAN registration, you have to confirm for TAN registration. You will get an email for confirmation. Then log-in id will be provided to you for your registration. Logo Registration is required to protect your tech company’s logo. It gives you a unique identification of your company. Logo registration is must in nowadays; it is easier for the people to copy it. So logo registration is just so no one can use your logo without your authorization. Logo registration is easy. You have to file an application for registration online. There are 48 classes available for which you have to choose the class for your tech company. While filing the online form you have to select one class for your logo. Then you can search for the logo if any is using or not. After a successful filing, your trademark will be examined. Then you will able to get a trademark on your logo. As you can see in the above article when you start thinking of incorporation of a tech company you should also start thinking about legal registration because nowadays it is must anyone can steal your brand name or your logo and you might face legal problems in future so legal registration of your tech company is a must. To give legal identity to your tech company you should register your company. How to set up your freelance business for success?